ChunkBorders - Visualize chunk boundaries, locate chunk centers, and more. 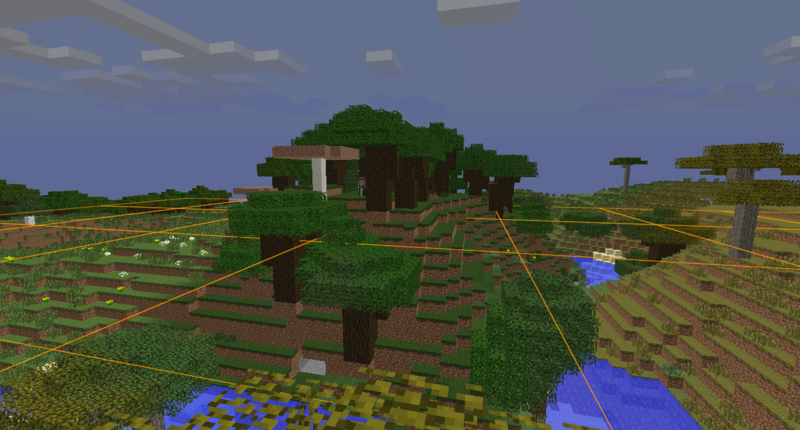 ChunkBorders provides an easy way to see the edges and centers of chunks, as well as identify your world's spawn chunks and spawn area. This can be very useful for people who play on Towny, Factions, or similar servers where chunk boundaries are important for setting up a town, building, and protection. Works on both single and multiplayer. - To enable the mod, install it and simply press B (by default) in-game. - You can adjust the radius and other settings by going to either the Main Menu or Pause menu, clicking the tab at the top right, and selecting the "ChunkBorders" mod followed by "Settings". How many chunks in each direction will be visualized (0 will display only the single chunk you're in, up to 16 which is huge). Makes the borders render at the player's feet and move automatically when you change height. Keeps the borders at the same height, adjustable using the UP and DOWN arrow keys. Toggles visualizing spawn chunks and the 20x20 spawn area. 1. This mod requires LiteLoader. Install it first. 2. 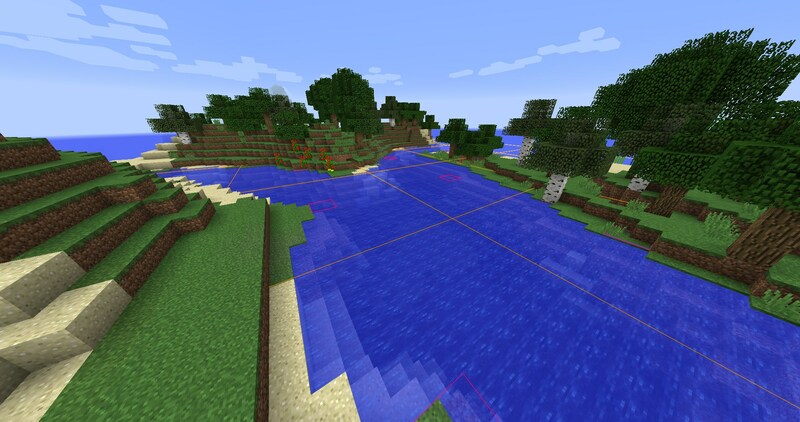 Download ChunkBorders and place the .litemod file in the /.minecraft/mods/ folder. Do not change the extension from .litemod or it will not load. 3. Launch Minecraft using the LiteLoader profile. 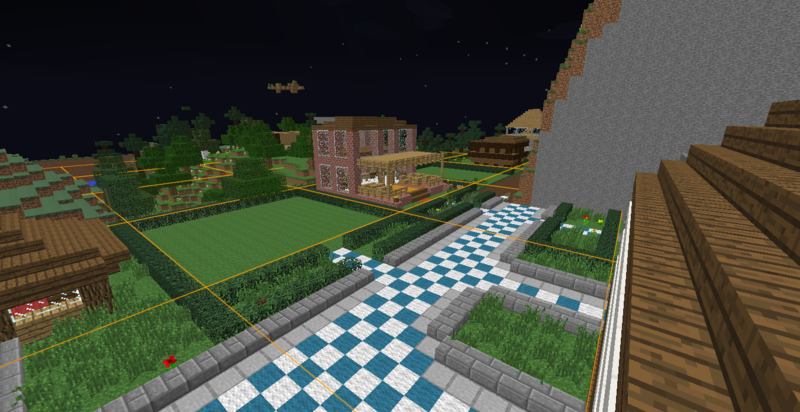 • Updated to Minecraft 1.10.2. With the addition of F3+G ingame, this mod has become somewhat obsolete, but some may find the extra features useful or like the look better. Feel free to post any suggestions, feedback, and questions in this thread. This is just what I've been searching for! Thank you! No problem, nice to see someone noticed it. Hope everything works nicely for you. Are you sure the height is set to "Manual" in the settings? Do you have any other mods that use the up and down arrow keybindings? If not I'll try to figure out what's causing it and make the two keys configurable. No! I'm on the auto mode and i can't use the up and down keys and i don't have any other mods that use the up and down keys! I'm want to move the player using the arrow keys don't the chunk borders! EDIT: Oh, I assumed most people use WASD for movement, I'll make the keys configurable. Definitely would appreciate key bindings being configurable, as otherwise it would mean having to completely rearrange my already-existing setup (12 mods and counting). Looks like this could be quite useful BTW! Very nice mod. Simple yet useful. Seriously?! Wow, then I'm geting this! I apologize if I'm just overlooking the information, but is this client side or server side? It's a client side mod, sorry if that was unclear. It doesn't interact with the server at all. B works to show/hide the line. /\ and \/ arrow keys don't raise or lower the lines though. (No error or crashes.) And I do see the /\ and \/ keys in the control settings. 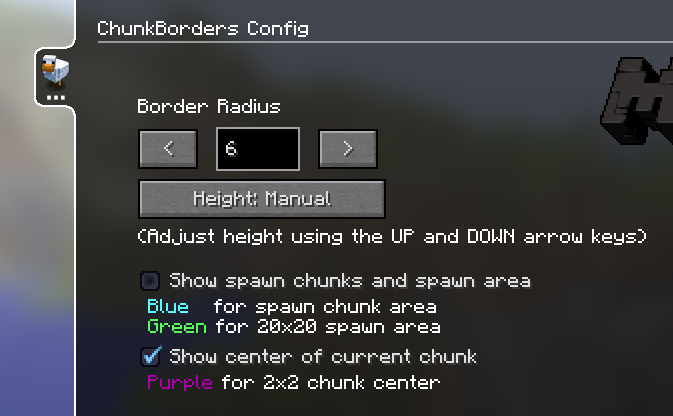 You can adjust the radius as well as how the mod handles the height borders are displayed by going to either the Main Menu or Pause menu, clicking the tab at the top right, and selecting the "ChunkBorders" mod followed by "Settings". Yes it would be technically possible to change it in the settings file if you made it uppercase "MANUAL" as it references an enum value. The config file wasn't really intended to be touched, I wanted to have it all done in the GUI to make it as easy as possible. I put the colors in there for users who know what they're doing and want to change it until I integrate those into the GUI as well.